Faith Evans attends 2017 American Black Film Festival on June 17, 2017 in Miami, Florida. 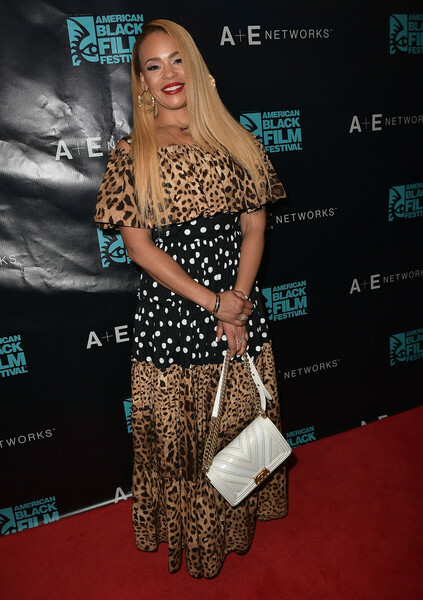 Faith Evans mixed her polka dots and leopards at the 2017 American Black Film Festival. Faith Evans topped off her look with a chic white chain-strap bag by Chanel.